Electrical engineering is the design and management of power systems, communication networks and the electronic products that are transforming our way of life. The world runs on energy, and electrical energy is a convenient, valuable and important part of the supply. Electrical Engineering will prepare you to help provide reliable, sustainable energy to meet the needs of society for the future. The electrical engineering program can also prepare you to create the systems and networks that will deliver services such as internet, text, voice and video information around the globe. The undergraduate programs presents a challenging and interesting workload. The first two years of classes are based upon core engineering subjects. The third and fourth years of classes are specialized in technical and design-based principles. We offer the advantage of small classes, large lab facilities, superb faculty and excellent support staff. 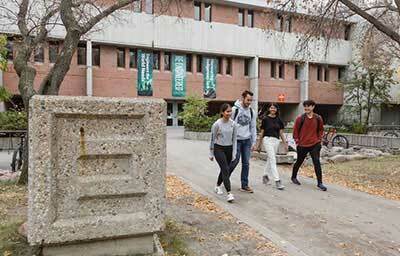 All first year engineering students will take a common set of classes before entering a specialization, such as electrical engineering, in their second year. Introduction to solid state electronics. Emphasis is on circuit design concepts with extensive discussion on diodes and diode circuits and on bipolar junction transistors (BJT) and field effect transistors (FET) as amplifiers and as switches. An introduction to digital logic including combinational and sequential logic devices and circuits. Covers the range from the fundamentals of Boolean algebra and the binary number systems to combinational and sequential circuit functional blocks such as adders, multiplexers, counters and state machines. Some coverage is also given to electronic characteristics of real logic devices and field programmable gate arrays (FPGA). Covers the steady-state theory of electric machines. Topics include induction machines-equivalent circuit, efficiency, operating characteristics, starting, speed control and induction generator principle; synchronous machines- equivalent circuit, efficiency, operating characteristics, motor characteristics and speed control; DC machines operation, efficiency, shunt and series machines, speed control, starting. As an intern you will earn a competitive salary and vacation pay, and may receive a benefits package. You will maintain your full-time student status during your internship. Interns gain practical and in-depth experience within a specialized field, develop strong impersonal skills, write reports, present seminars and supervise others. These are employable skills that will allow you to better market yourself in a competitive job market.